2 lemons peeled, 1 lime peeled, 1 cup of liquid which can be distilled water or organic juice, (I’ve been using green tea), 2 cups crushed ice, 2 TBSP of Agave and a handful of fresh basil. 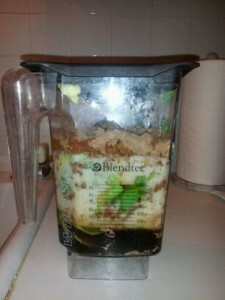 Blend well in a high powered blender. 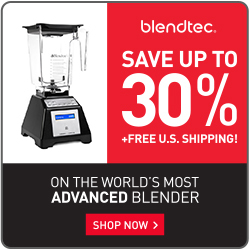 I use my Blendtec*. Enjoy! 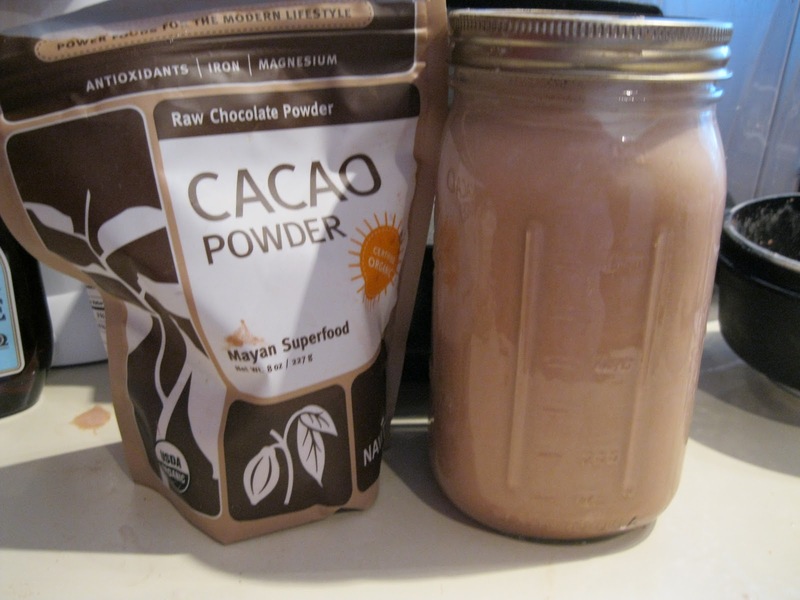 This is a great juice that aids with detoxing and curbing the sweet tooth. Make sure that all the ingredients are organic and/or sustainable from a reliable, local farmer. 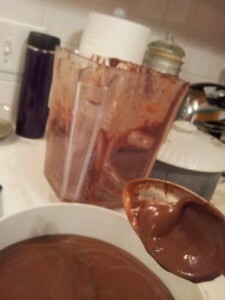 Wash and scrub all ingredients, juice in a juicer, Drink immediately & Enjoy! Don’t be alarm with Pink Pee which most likely will occur when consuming beets. Put all the above in a strong blender, I use my Blendtec*, after blending pour into a glass or porcelain container than add the CPTG oils 3 drops of doTerra DigestZen NEVER put oils in a plastic container, the oils leach the plastic. YUK! Kale is great when it comes to make-ahead lunches. You can dress this salad in the morning, or even the night before, and the kale will still be firm and tender come lunch time. Keep the avocados in a separate container so they don’t get mushed in the salad and spoon them on top of the salad just before eating. A hardboiled egg makes a great stand-in for avocados, and I’ve used diced apples, diced pears, dried cranberries, or other seasonal or dried fruit. Fold a piece of kale in half lengthwise and use your fingers to tear out the tough inner stem. Repeat with the other leaves of kale (you can save the stems to use in stir-fries, sauces, or soups). Tear all the leaves into bite-sized pieces and put them in a medium-sized mixing bowl put a healthy pinch of salt over the salad and use your fingers to toss and rub everything together, you want to break down the kale with the salt. Massage for about 3 minutes. Cut the apple into little bits and add them to the bowl, along with the carrots & the almonds. Whisk together the oil and vinegar and either add if eating soon or keep in a separate container to add just before serving. Just before eating, slice the avocado into cubes and spoon them over the salad. This salad will keep for about 24 hours, preferably refrigerated. Process lemon juice, Tamari sauce, ACV, salt, garlic, ginger & water in a blender or food processor until smooth for 15 – 30 seconds. 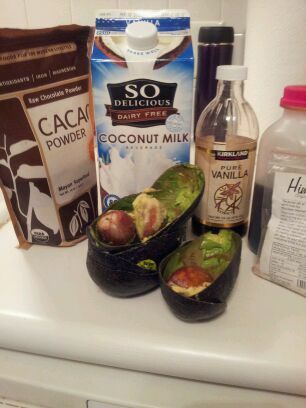 Add all other ingredients and puree until smooth Enjoy your easy homemade goddess salad dressing! 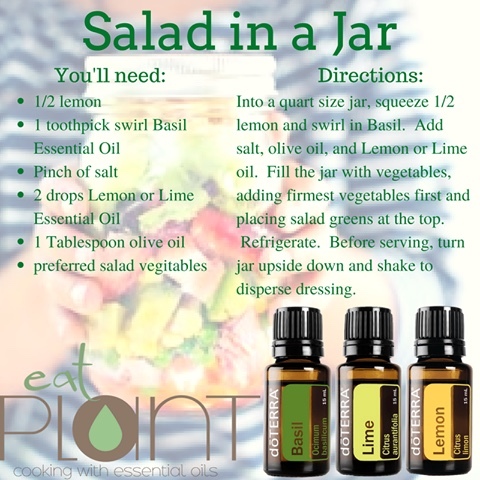 SALAD IN A JAR – using dōTERRA oils! YUMMY! 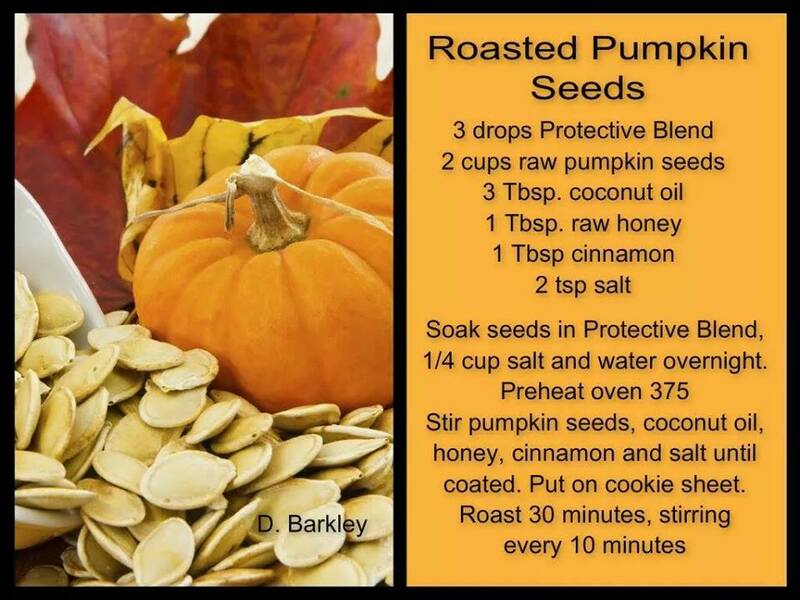 ROASTED PUMPKIN SEEDS – Using dōTERRA “protective blend” aka “On Guard” essential oil! (Remember to put a drop on your nose before going into crowded areas such as airplanes, hospitals, & stores to keep the “bugs” away! Blend all together in a strong blender, I use my Blendtec. Then spoon into bowl and chill. YUMMY! 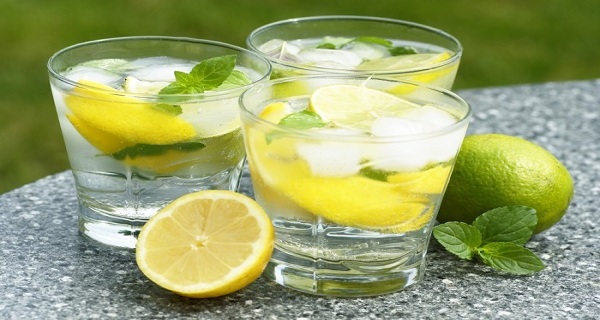 Note: You may replace the regular drinking water with this detox water to stay hydrated. Replace the fruits after 2-3 refills for better effect. Great talking to you on Tuesday. I am really impressed with your web site. Hopefully we can meet soon. Good luck on your event!